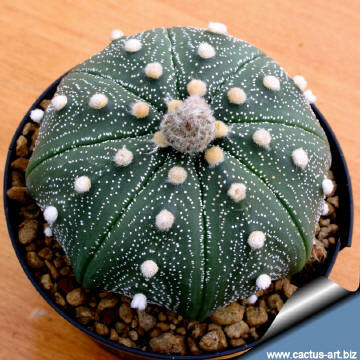 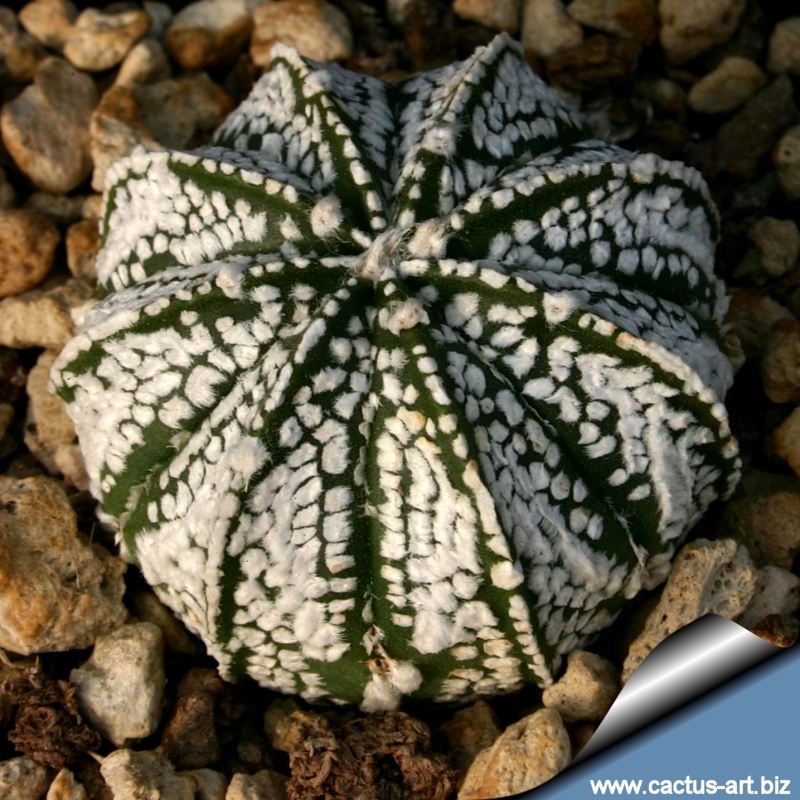 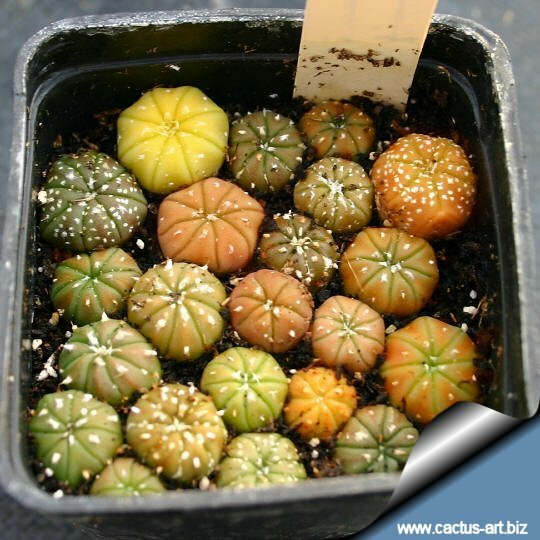 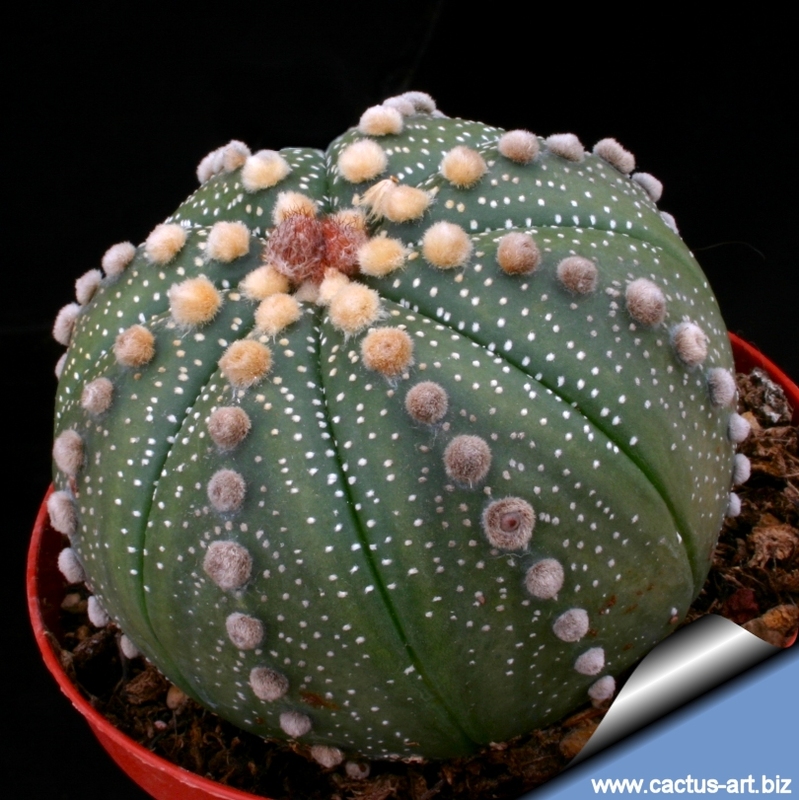 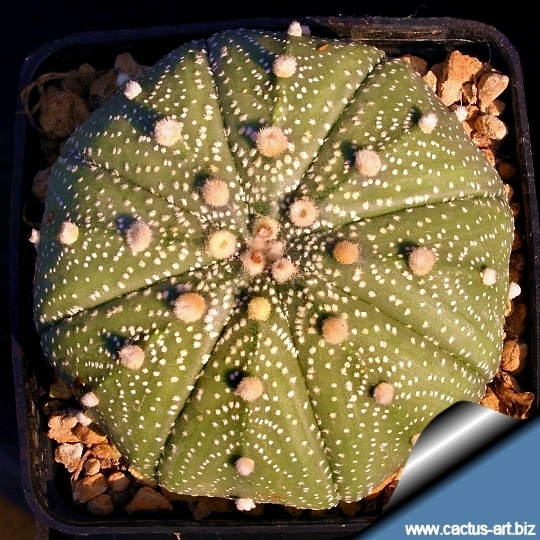 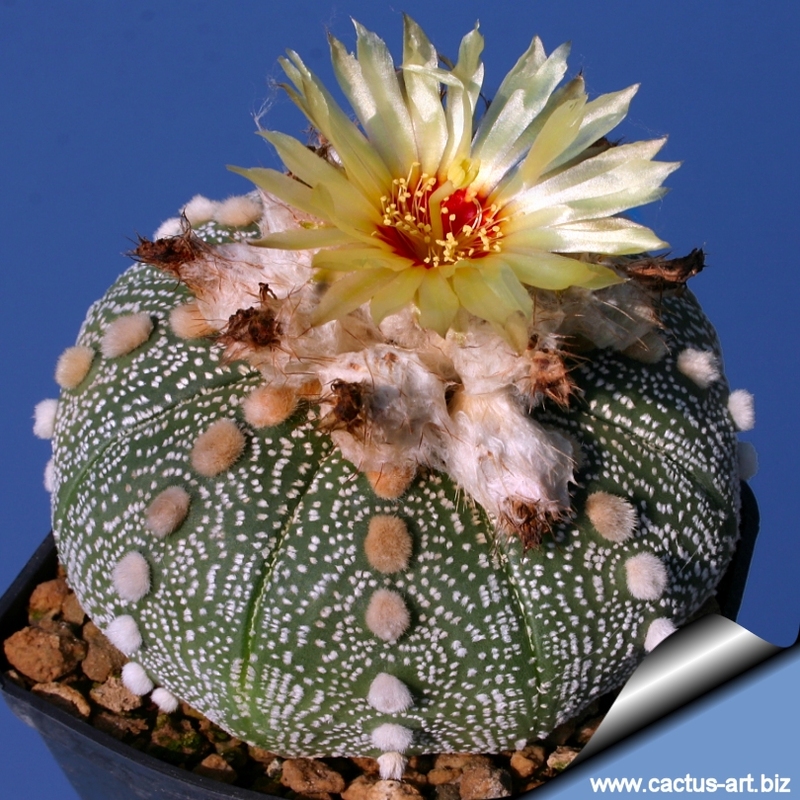 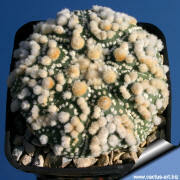 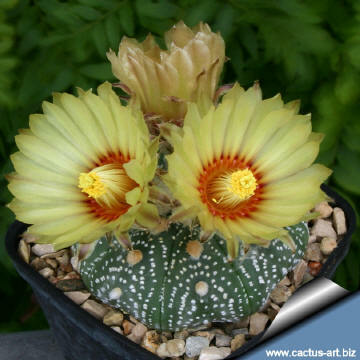 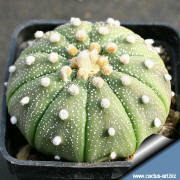 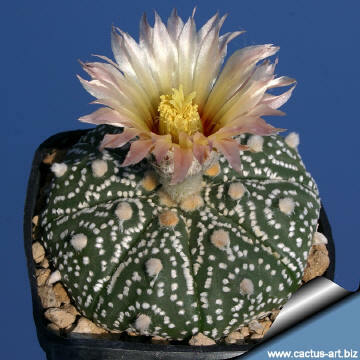 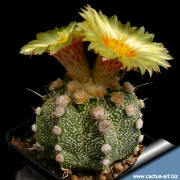 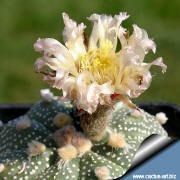 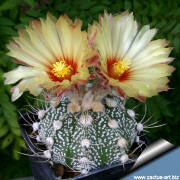 A. asterias is one of the most attractive species of cactus, admired by cactus lovers. 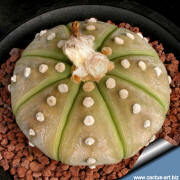 Stem: non-branched, flat, dark green. 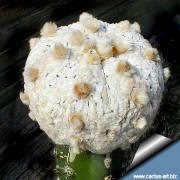 Diameter 3(8)16 cm. Height 2 to 6 cm. 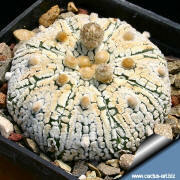 Just flat to the ground surface, the plant body grows on the native habitat practically complete buried . 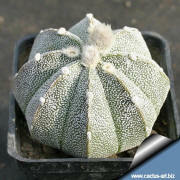 Only in cultivation plants may have a spherical till columnar shape. 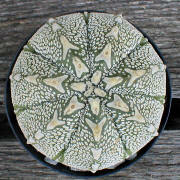 Ribs: 5(8)11, generally it has eight flat ribs, rare few or more. 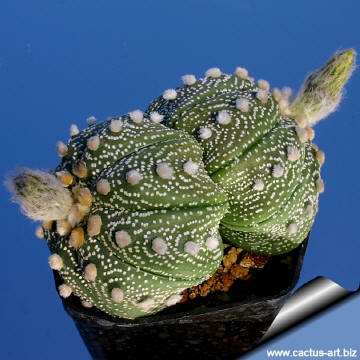 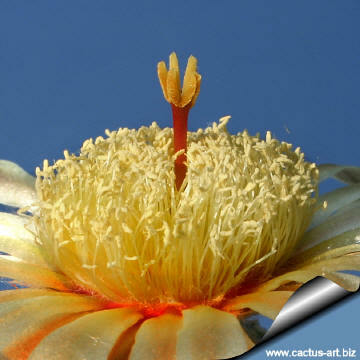 ( but in cultivation selected cultivars can have from 4 to 13 ribs), The normal rib number eight is very stable, independent of the age of the plant. 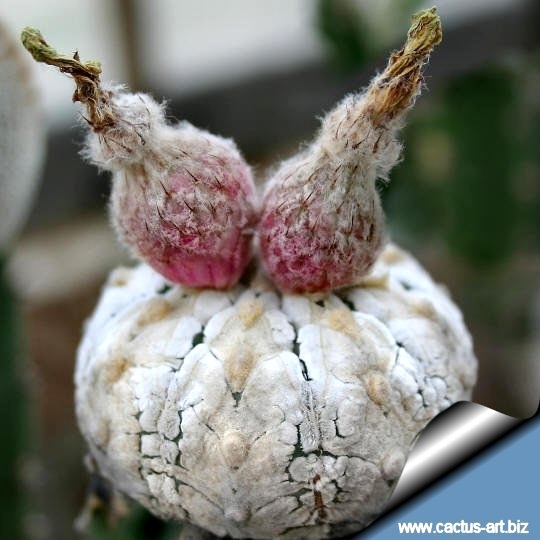 Roots: the underground body is fleshy, turnip-like, with fine roots. 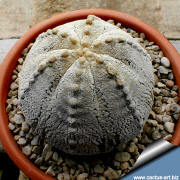 Hairy scales: usually loose - are sprinkled over the stem in irregular patterns, sometimes arched around the areoles or on line. 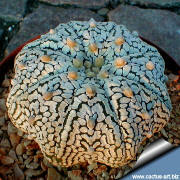 Cultivated plants possess sometimes very dense and big hairy scales. There are also completely flake free pure green specimens. 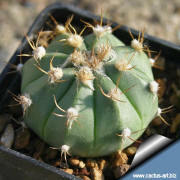 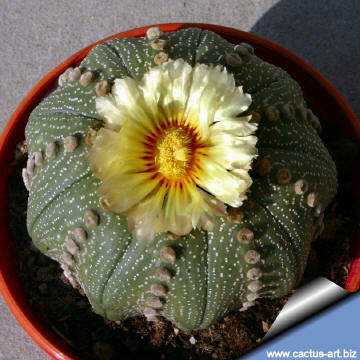 Common names: The name "Peyote" used by the natives comes presumably by the external similarity to Lophophora williamsii, however there is no closer botanic relationship. 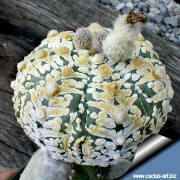 Till now, there is no found of hallucinogenic in the plants despite multiple contrary assertions. 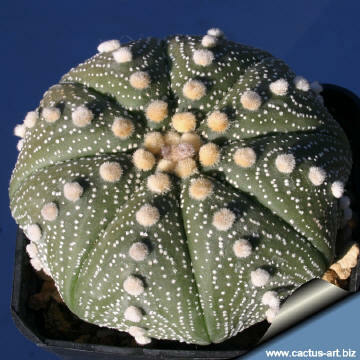 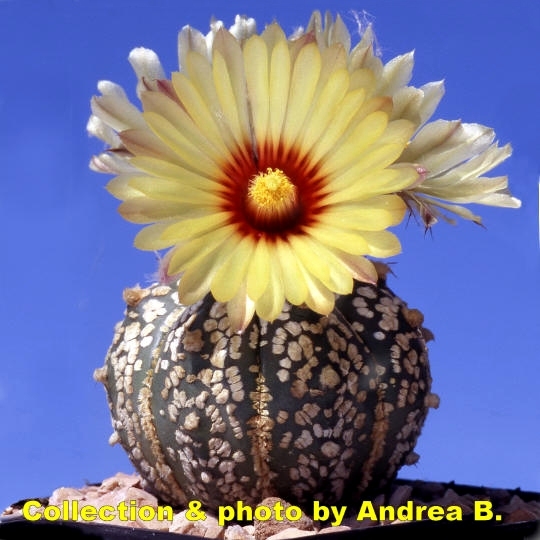 Etymology: The generic name "Astrophytum" derives from the Greek words "aster (αστηρ)", meaning a "star" and "phyton (φυτον)", meaning "plant". 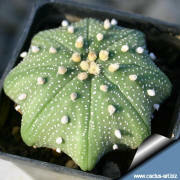 ( The Genus name implies: "star plant"). 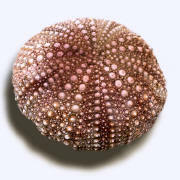 The specific name "asterias" derives from the Greek name “aster (αστηρ)” that means “a star” an aster type plant*, and the Greek suffix “ias (-ιας) ”meaning “like to, comparable, similar” The specific name implies: "star like (like an aster)"
Flowers are usually yellow with a red, orange throat, plants start blooming when about 3 cm diameter. 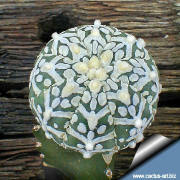 (like in the photo above) are unusual. 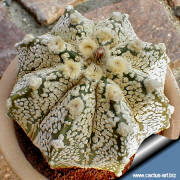 A plant with the typical eight ribs with white tufts of loose hairy scales. 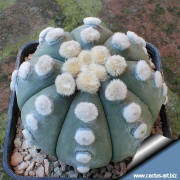 few scales and hairy in the upper area.